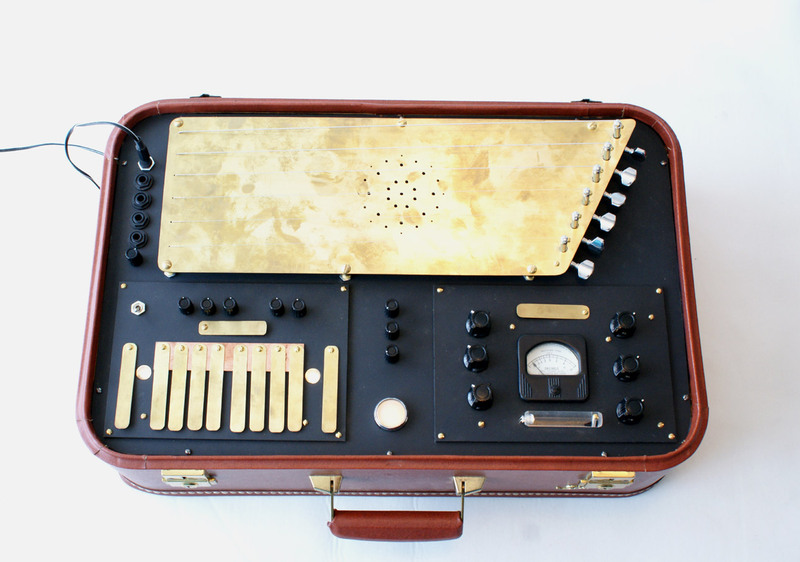 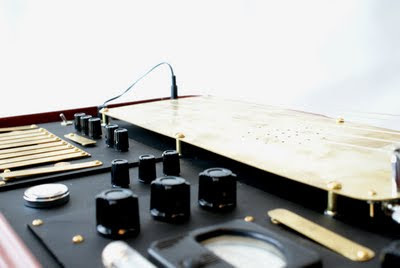 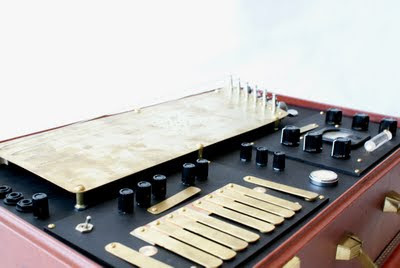 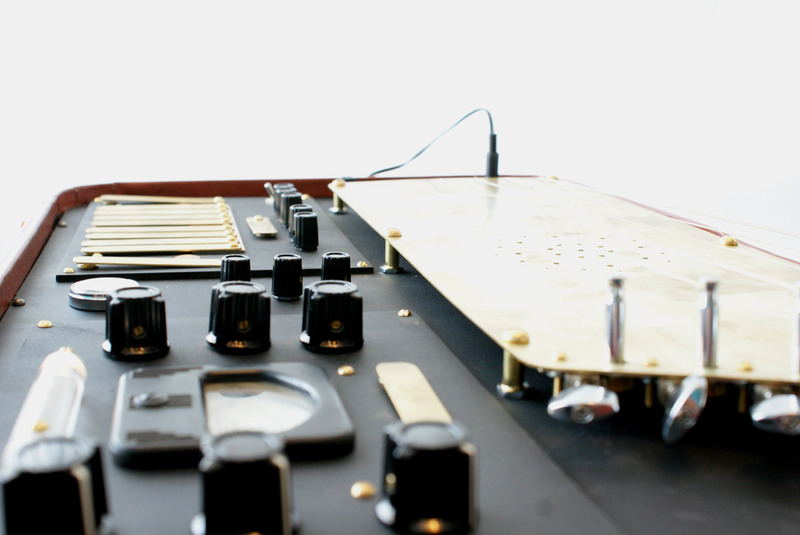 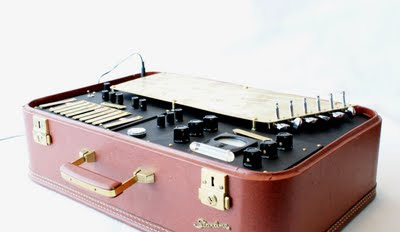 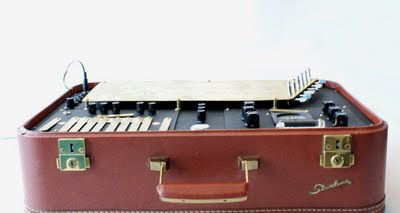 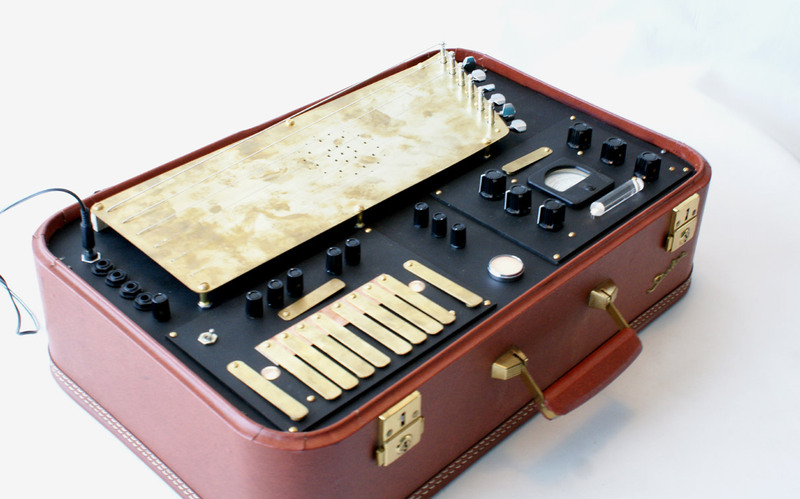 The Feedback Harp is a collaborative work by Arius Blaze and Ben Houston designed to create an electronic atmosphere based on an acoustic source, capable of feeding back into enormous swells of electronic noise or sweet subtlety. 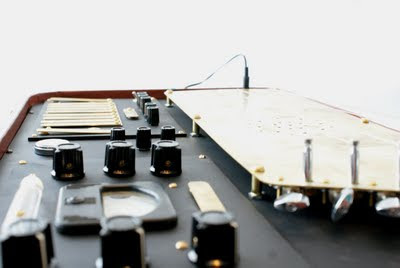 The on-board sound can be sampled, looped, altered and generally f*kt up in unimaginable ways and/or external sound can be fed into the belly of the beast. 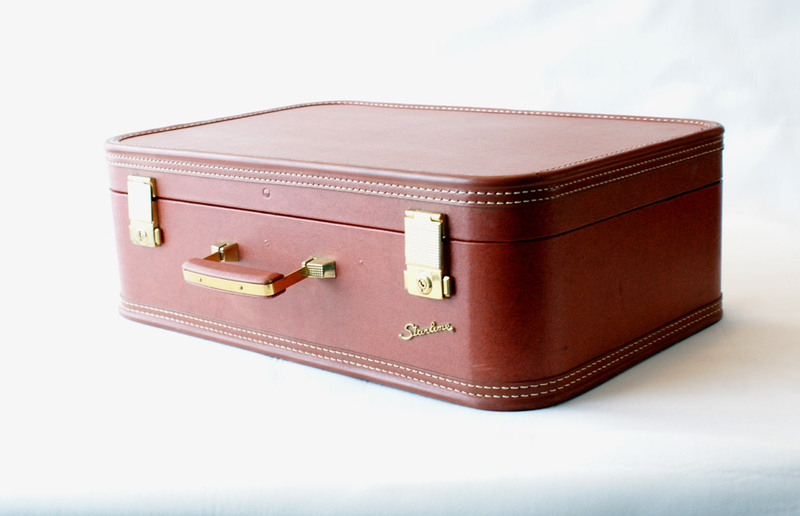 This piece was built into a suitcase provided by the buyer.